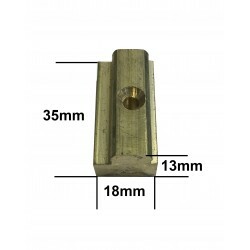 Mounting Block is made with solid pure brass. Same Block is used to mount the track on ceiling, wall or under the beam. Instaler only use different sides of block to use on ceiling or wall. Clicking slot on one side of block is for wall mounted track & slot on other side of block is for ceiling installation. 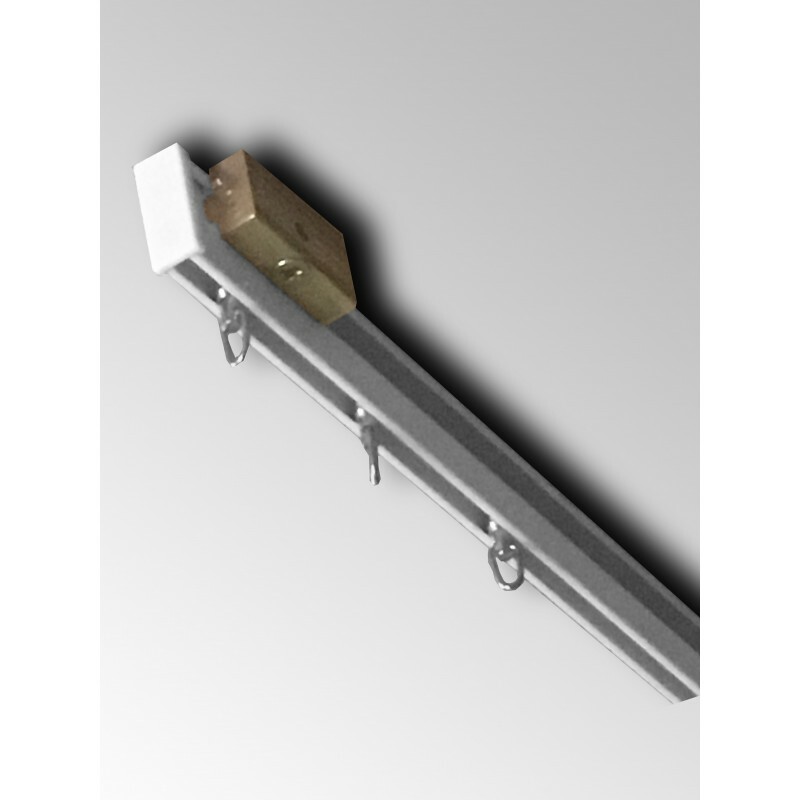 You will use same track clip rail for ceiling & wall mounted installations. 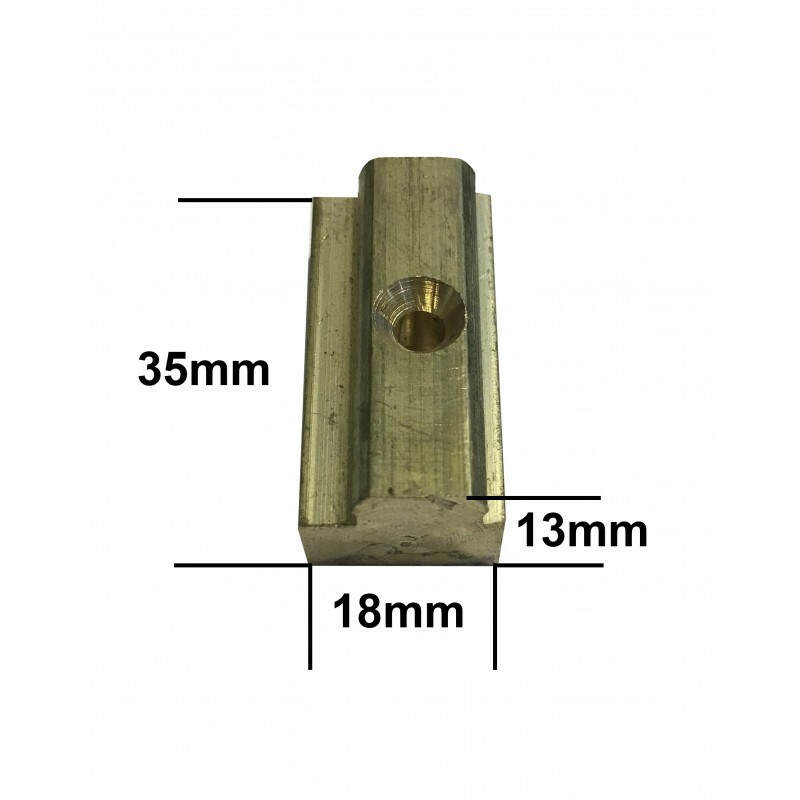 Quality product with aluminium track & brass fittings NO PLASTIC. CURTAIN IN THE PICTURE IS NOT INCLUDED THAT IS JUST FOR EXAMPLE TO EXPLAIN. Heavy Duty Aluminium ceiling mounted track room divider kit. Load capacity 20KG per meter. You can cut the track to size with the hacksaw. Discrete & attractive solution that looks and works great in a wide variety of spaces. Divide or Split up a shared space, block light, create privacy, or hide clutter with A Room Dividers. 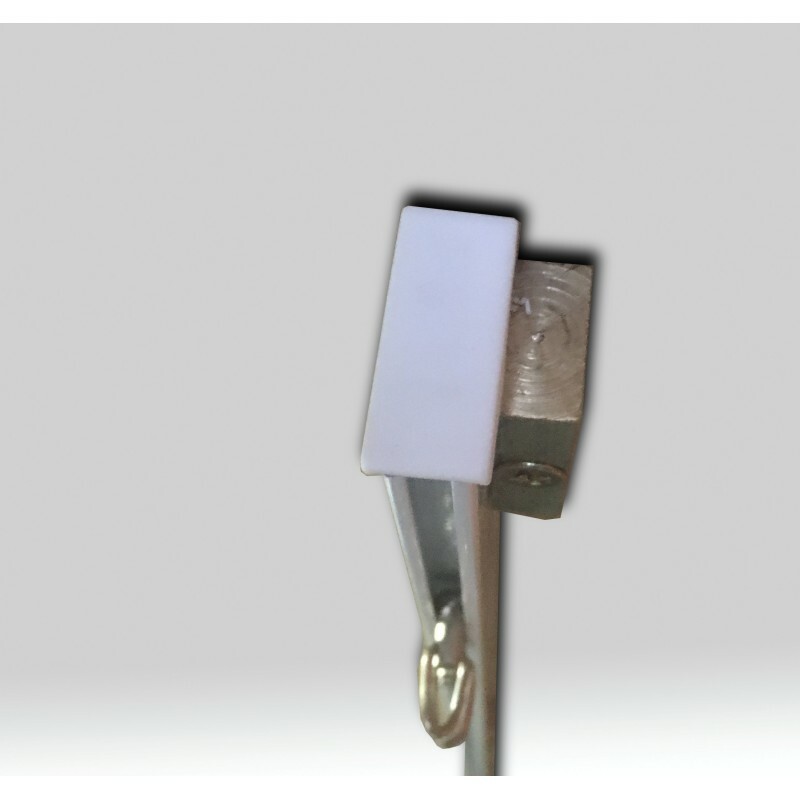 1) Screw mounting block into the ceiling or under the beam with screws. 2) Clip up the rail on mounting blocks. 3) Slide in the curtain slider into the curtain track. 4) Apply plastic end pieces on both ends so slider doesn't come off. 5) Attach curtain hooks with your curtain. 6) Hang your curtain on the slider. Load capacity 20KG per meter. You can cut the track to size with a hacksaw.